One of the great benefits of photographing weddings is that occasionally you get to go to some really sweet places, even if it's just for a weekend. This was the case in Bermuda, where Riki and I had a wonderful couple of days. We stayed in an amazing AirBnb (why would you ever stay in a hotel?). It was actually a bit too cold to swim, so we just scooted around the island looking for fun spots, which were not hard to find. 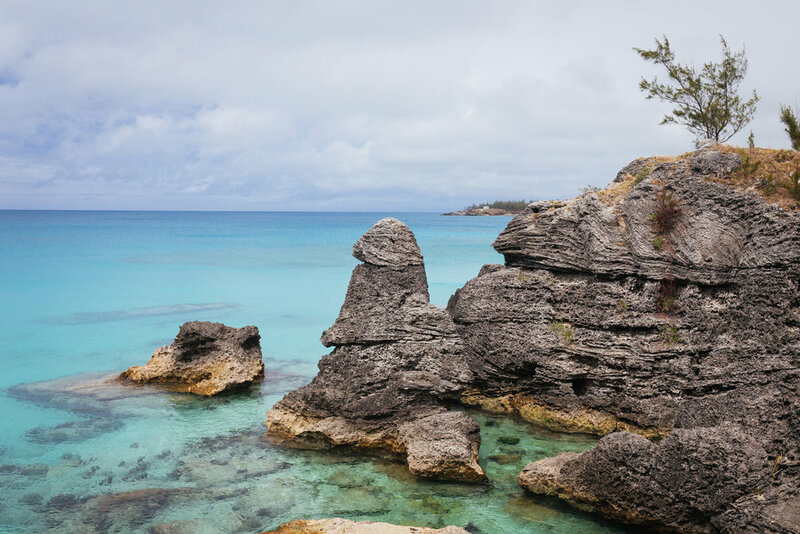 Bermuda is a paradise. I've never seen so many shades of the color blue. Throw Riki in there and you have the recipe for a perfect photo. I even made it in a couple. Also, HEMLINE is cool enough to let us borrow some cool clothes and give us a unique coupon code. If you want to look cool like Riki, head on over to Hemline and use code riki10, good for 10% off and free shipping! Pretty cool! I'm selling out baby...go buy something!